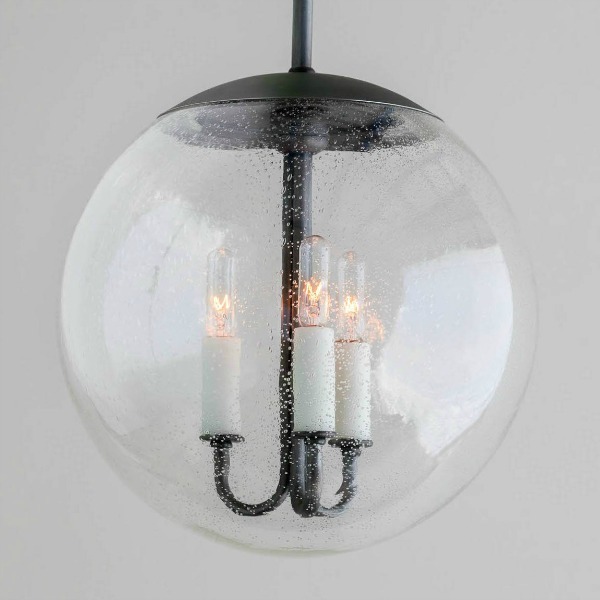 The Belmont Circle combines modern and traditional aesthetics with a handblown-glass orb illuminated by three lamps that curve elegantly inside. With insides as striking and elegant as its outsides, The Belmont creates a beautiful look in any room. 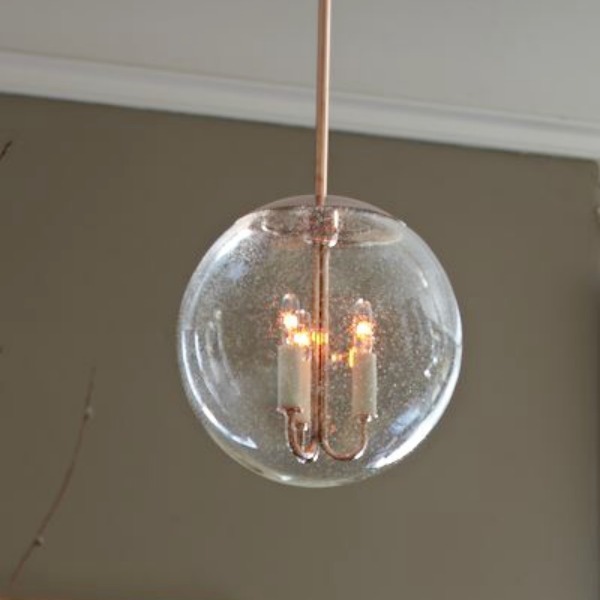 12" sphere, available in clear or seeded glass. 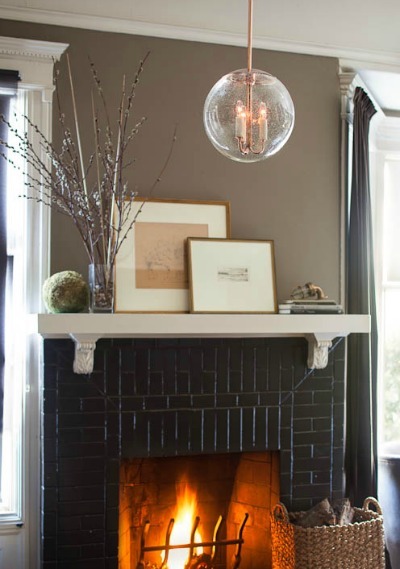 Hang alone or cluster for a retro look. Socket sleeves available in painted or metal finishes. Adjustable. The Belmont comes in a wide array of finishes to suit any taste. Versatile. 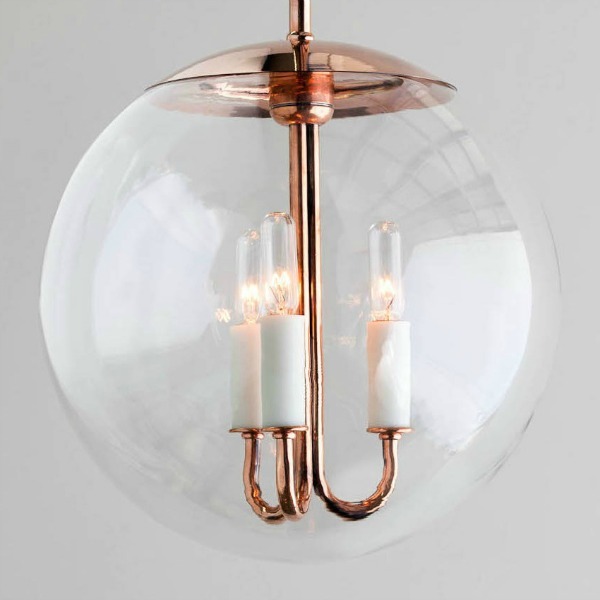 Illuminate an entryway, kitchen, even a bathroom with these beauties. Graceful. 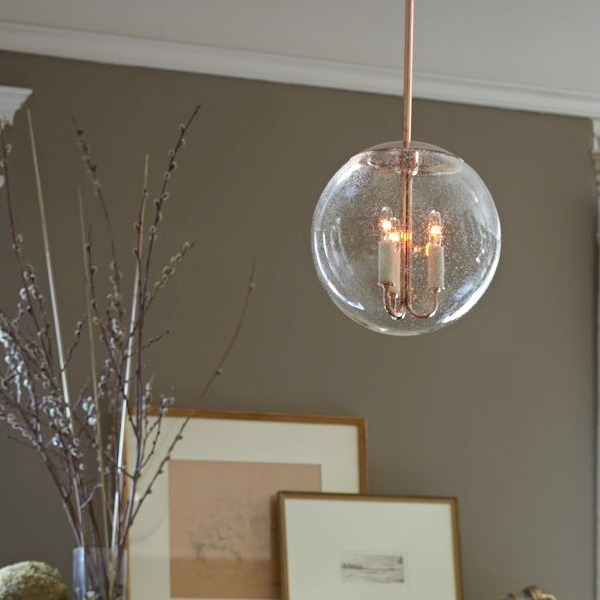 A single stem dedicated to each lamp inside the globe creates a clean, elegant look.